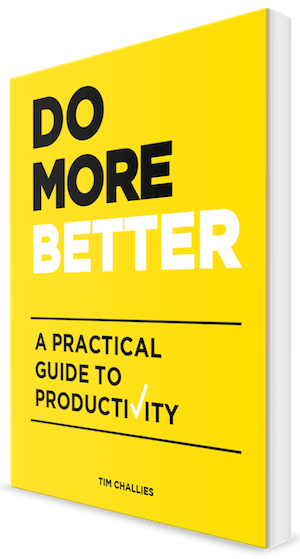 I am really excited to announce that one week from today you will be able to purchase my new book Do More Better: A Practical Guide to Productivity. I wrote this book because I believe God calls each one of us to emphasize productivity in our lives. 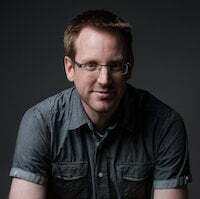 He calls each of us to emphasize a particular form of productivity—the kind that emphasizes stewarding our gifts, talents, time, energy, and enthusiasm for the good of others and the glory of God. I don’t want you to do more stuff or take on more projects or complete more tasks. Not necessarily. I don’t want you to work longer hours or spend less time with your family and friends. I want you to do more good. I want you to do more of what matters most, and I want you to do it better. That’s what I want for myself as well. Whether you are a professional or a student, a pastor or a plumber, a work-from-home dad or a stay-at-home mom, I believe this book can be valuable to you. And much more, including bonus material on taming your email and a collection of quick tips to improve your productivity. 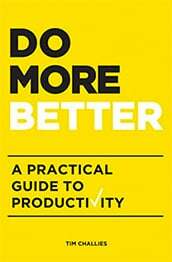 Amazon: Do More Better will be available on Amazon in both print and Kindle formats on December 1, 2015. Other retailers will follow in early 2016. Cruciform Press: It will be available in epub and pdf formats at Cruciform Press on December 1. 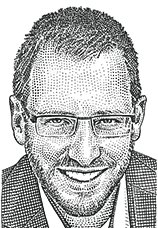 Become a patron. All Patreon supporters will receive an electronic copy of the book on December 1.